Looking to get a new website designed? Here are some simple tips will help you get the best outcome for your new website. Since you are here, you probably already understand the importance of writing a great brief. Having a brief will save your bacon if you and your web designer come to blows (yes it can and does happen). It will also help ensure you avoid fixing expensive mistakes – many of which are overlooked. Before you write the brief, here’s an important thing you ought to know. There is a difference between website design and website development. A web designer makes the website look good. A web developer codes the website so it functions. These are two completely different skill sets and can sometimes be at odds with each other. Then of course there is the web marketer – this is the person who understands what functionality you need to market your website effectively. Don’t expect that your web designer or developer will know this. So your brief should not only give guidance on how you want your website to look, it should also give guidance on how you want it to perform and also how you want to market it. What is the purpose of your website? Is it to collect leads, generate phone calls, sell product or will it act more like a brochure. Design should follow function. Who is the website targeting – Men? Women? Is it gender neutral? What demographics is your target audience? What do you want your website to communicate? How would describe how you want it to look? e.g. Strong, stylish, practical etc. What other websites do you like or don’t like? Why or why not? What parts do you like or dislike? Do you have a logo, brand style guide. What are your brand colours? What things are sacred and should never be changed? If you want a redesign, are you looking for a total revamp (revolutionary) or are you looking for more of a subtle change (evolutionary). Do you want to include social media buttons on your website? If so, what social media should be included? Minimum font size – this is pretty important if you are targeting an older demographic who typically has poor eyesight. Website speed – set some expectations on this. It’s amazing how this simple omission can become a problem after your website is live. Browser compatibility – what browsers it should be compatible with? 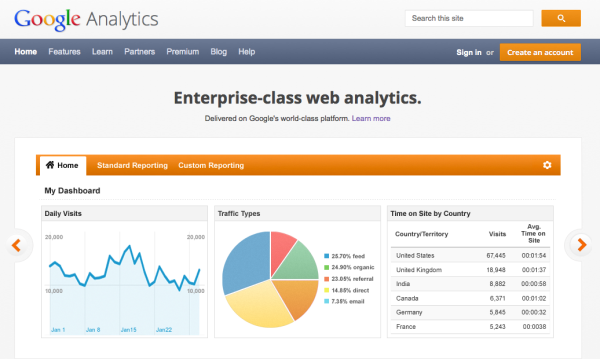 As a guide, you can check your Google analytics for the most popular ones. 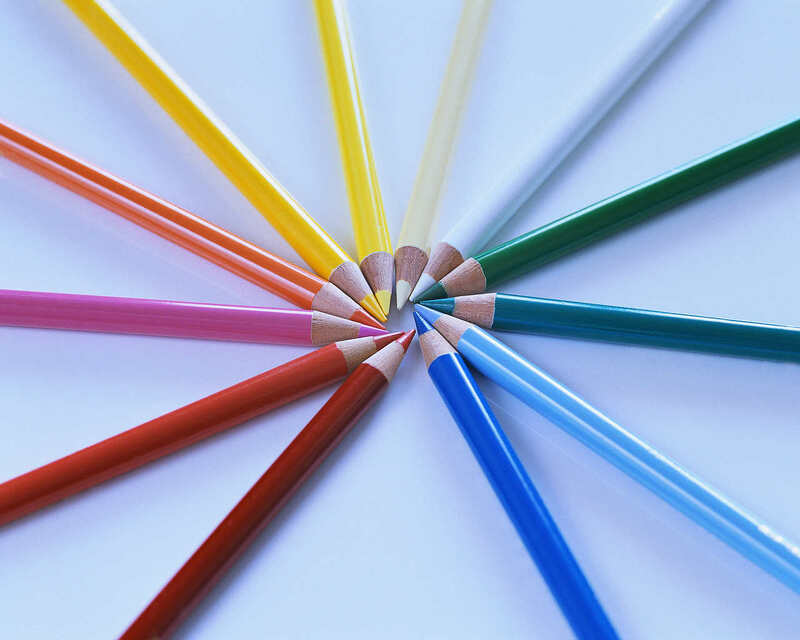 Website accessibility – do any of your readers have special needs? Mobile devices – what devices it should be compatible with. With mobile searches on the rise, we suggest this should be a mandatory. Search engine friendliness – some websites have automated page titles and descriptions. This can be a blessing or a curse. We believe you should have ability to add meta page titles, descriptions & micro data to help search engines find your website. The number of websites we see that do not have this functionality is quite astounding. Are you planning on updating the website yourself or are you happy to have the web designer make the changes for you? How much will they charge for updates? How are you planning on marketing your website? Are there any special features required to assist in marketing it? How are you planning on measuring your website performance? Do you need the ability to track events like user registrations, sales, contact form submissions, video plays on your website? If so, the website may need to be coded appropriately so it can handle this. Compatibility with Google analytics e-commerce tracking – having this in place will help you measure the effectiveness of your marketing campaigns. So there you have it, there are a lot of things to consider before you build a website. Taking the time up front to have a think about what your requirements are, will save you time, money and heartache. 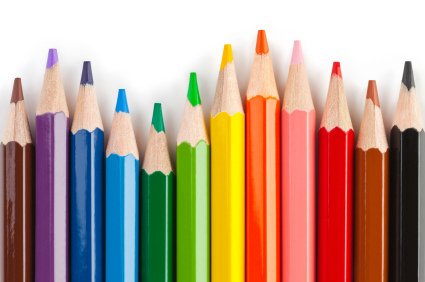 Feel free to use these tips to craft your own website brief. You can also contact us if you want help writing your brief. Ever been to a website that took forever to load? How long did you wait before you left? Perhaps you didn’t even wait that long. According to one study, when pages take more than 3 seconds to load, 57% of users will abandon the site. It goes without saying then that site speed is a critical factor that impacts your ranking in the search engines and also your sales. Studies from the Aberdeen Group show that 40% of people abandon websites take more than 30 secs to load – therefore a 1 sec delay can result in a 7% reduction in conversions. 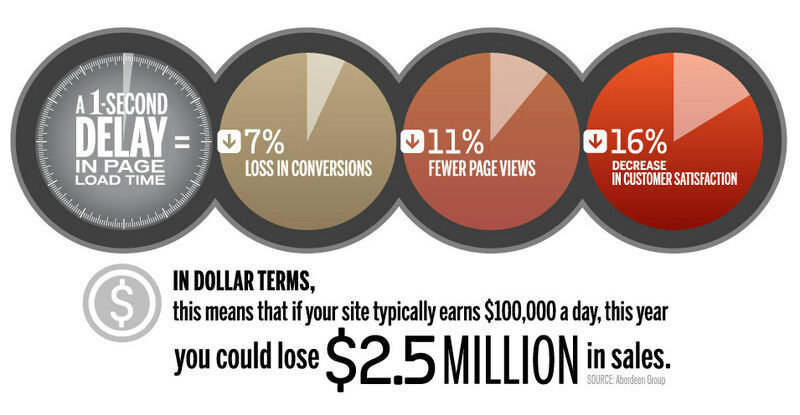 So if an e-commerce site is making $100,000 a day, a 1 sec delay could potentially cost $2.5m in lost sales every year. Furthermore, almost half of all shoppers say that slow pages during checkout make them worry that the transaction has failed. Businesses who have moved to faster hosting providers have improved both rankings in Google and sales. Google also confirmed that they have made page speed a ranking factor in a blog post some time back. Bear in mind though that page speed is just one of about 200 factors that determine’s a website’s position in the search engines. And while it may only affect a small proportion of websites, it doesn’t mean it should be ignored. Google’s aim is to provide end users with the best possible user experience. That’s because satisfying end users keeps them loyal to Google and this protects Google’s advertising revenue which generated over $43.6b in 2012. Conversely, it also provides your customer (or visitor) with a better experience. Giving users a better experience will help you make more money. If fact, Google is so serious about the end user experience, they have recently launched a new Page Speed Service that you can use to improve your website speed. There is a limited free trial on offer so now is a good time to try it out. The service is invite only, but you can sign up to receive and invitation. If your website is sluggish, then we recommend signing up to the service. If you still skeptical, you run a free test to see how your website speed will be improved if you use this new service. We tried it on a couple of websites and saw a 47% reduction in page load time on one of the websites we tested. You can even use a service like Pingdom to monitor the load speed of your websites and learn how to make it faster. Ever get the feeling that your website could be better but not quite sure why? Your intuition might be right. If you are in that position, it’s a good idea to start writing down all the things you believe are not quite right. Your step is to use a few tools to help you figure out why. Often using these tools to diagnose what is wrong is a lot cheaper than getting your website redeveloped. Fortunately there are some seriously great free & paid tools that can really help you work out what is or isn’t working. Here we will outline a couple of the great tools we have used ans how you too can benefit from using them on your website. where your visitors came from and which pages they visited on your website. Often a cursory glance at the data can tell you so much. For example, if your site is not optimised for mobile and you start finding lots of visitors coming to your website via mobile, then it’s a good red flag to know that your website needs to change. Possibly at a slightly more advanced level, you can also use Google Analytics to set up goals for actions that you want visitors to take. Some goals might be to call your phone number, contact you via a contact form, buy something, watch a video, stay on the site for over 2 minutes etc. You get the idea. The important thing though is to know what it is you want to measure in the first place. Another cool tool is Crazy Egg. Crazy Egg has 4 main functions which help in the following ways. 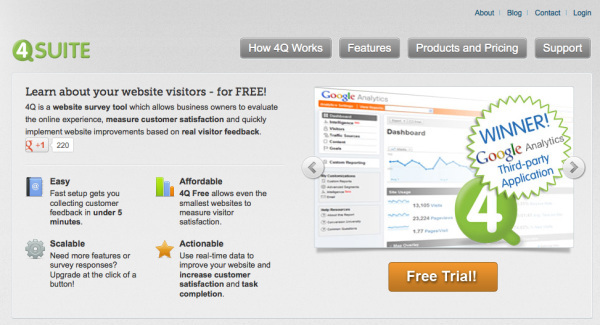 A heat map which is a visualization of where your visitors are clicking on your website. The brighter the area, the more popular it is. This is particularly useful especially if you have a number of links on the page. It can tell you what items on the page are getting the most attention from your site visitors. A scroll map which shows you how far people scroll down the page to find out more information. You might be surprised to find out very few people see the real estate on the bottom of your page. A confetti map that tells you exactly where people clicked on your website. You can sort the data by referrer, search terms and day of the week amongst many other things. An overlay map which shows the specific number of clicks that each link receives. It helps you to visually understand how many people click on certain links. We often use to work out what things are more important in our navigation bar. You use the information to remove unpopular pages or add new pages. We used it on our website to determine what pages people were most interested in seeing. Our “clients” page was added recently and we’ve noticed that since we had added it this page has been getting a lot of interest. Of course it could also be our competitors spying on us! Though checking the data in conjunction with Google analytics it seems unlikely. Like Crazy Egg, Clicktale shows you mouse map and click heatmaps, however it also records visitor actions on your site. It’s like watching little movies of what people are doing on your website. You can see their cursor and mouse movements from a movie file inside the dahsboard. What is surprising is the length of time people stay on your website. Even though Google Analytics tells you the average length of time people are on your site it can be a bit of a shock seeing how short some visits actually are. Clicktale also provides insight into the performance of your online forms. It make it easy to work out which fields take too long to fill or cause your visitors to leave. It’s a great way of working out exactly what questions are a problem. There a limit to how much is recorded – and this just comes down to what plan you are on. Different plans record up to a set number of visitors. Now I realise that this might seem a little creepy. However, the important thing to understand is that your visitors are not personally identifiable. The tools are used in the spirit of improving the user’s experience on the site as well as your own websites conversion rate. Another tool similar to Clicktale is Lucky Orange. Over in the right hand corner of our website is a little widget called Live Chat. It sits discretely on your website. When you click on it, it pops up and simply provides an easy way to let visitors contact you. You can set it up to take messages from site visitors or answers questions live as people hit your website. You can learn a lot from live chat. It can be particularly useful for service type businesses that need to provide customer support. You often see live chat on web hosting sites. There are other versions of live chat including Olark and Snap Engage. If they answer yes to Question 3, it asks “What do you value most about the [Company] website?” If they answer no to Question 3, it asks Would you please tell us why you were not able to complete the purpose of your visit today? Do you reckon you might get some interesting answers from this? Yep! Now if you are concerned about bombarding every site visitor with a questionnaire, be aware that you can also control what percent of your site visitors are offered the survey. We have set our survey up at 50% so if you see the survey while reading this, you are one of the lucky (or unlucky if you are time poor) ones to see the trial. If you find the survey intrusive – let us know. Just because there are all these tools at your disposal you need to careful using all of them at once. The reason for this is simple. Apart from annoying your visitor, it is because many of these tools use scripts to load code to communicate key information back to a server. The issue is that if lots of code is installed on your website, it can take a while to load. Apart from giving the user a poor experience and potentially making your conversion rate worse, Google also prefer sites that load fast and if your site is slow to load it may just get penalized in the search engine rankings. Enter in Google Tag Manager. Instead of installing hundreds of scripts on your website, you can just install one – a tag from Google Tag Manager. Once you have installed Google Tag Manager, all you need to do is then add the script as new tags in Google Tag Manager. Google Tag manager then manages the code and fires the code for you. Your site will load faster and you won’t be at the whim of the IT department to install the codes for you. Just be careful not to put Google Analytics into both your website and in Tag manager – if you do you might find some strange things happen to your bounce rate (or conversions if you are an e-commerce store). We hope you have found this post of value. What Is A Good Website Design? If it often said that beauty is in the eye of the beholder. Nothing more truer can be said about Good Website Design. Whilst artwork and design can be subjective, there are some guiding principles that can help make the decision on good website design a little easier. The first step of the process is planning. Before you can get a good website design you need to be clear on what is you want to achieve and what you want to communicate on your website. What do I want to achieve on my website? What actions do I want my visitors to take? The website should then be designed with this in mind. Many websites we see do not have a clear purpose. Many contain great information but the information on the site does not work hard to convert browsers into buyers. This is a shame. A well designed website should not only look great, it should also perform. Before you think about design, you need to consider what you want you website to achieve. Do you want to generate business leads? Do you want them to contact you by phone or via email? Perhaps you have a long sales cycle and want to build a relationship with your customers so the think of you when they are ready to buy. Maybe you want to provide answers to frequently asked questions to reduce call centre or help desk calls. Be clear and decide on what you want it to achieve. Make it easy for people to navigate their way around your website. There should be no more than 3 clicks to get to anywhere on the website. People get annoyed having to search around a site to find the information they want and will leave it is too difficult for them to find the information they are looking for. Having less clicks is more. Many older websites (and some new ones) use flash. Flash is not good from a search engine optimisation perspective because search engines can’t tell what the website is about. Flash based websites often take longer to load and it is common for people to get frustrated and abandon a site if a page takes to long to load. Flash based websites are not mobile phone friendly. This does not bode well for the future because location based searches expected to rise. You need a website that is mobile phone friendly. Make it as easy as possible for people to take the actions you want them to take. Use call to action words like “Call Us Today”, “Find Out More”, or “‘Contact Us.” Using call to actions will make it easy for people to take action without having to look around. However, don’t just ask someone to take action without doing something to build trust. If you are a well known brand, establishing trust probably won’t be an issue but if no-one has heard of you or your brand, then you will need to give some compelling reasons why they should take action. I know that if I visit a website and there is no information that helps establish credibility and build my trust then I am likely to take my business elsewhere. Make sure the messages you send are clear and consistent. They are many, many websites out there that fail to communicate what it is they do and how they are different to other businesses and why you should do business with them. If you aren’t sure your website meets these standards, ask someone else who doesn’t know what you do to look at your website and explain back to you what you do. If they find it difficult to explain you can bet your visitors will. If a visitor is confused they are less likely to want to pick up the phone and call you or even email you. Make sure your contact details are prominently displayed if you want people to contact you. All too often, I will visit a website hoping to do business locally and I have no idea where they are located or how I can contact them. Often the only way I can contact them is via a contact form (which whilst is important) shouldn’t be the only thing you put on your website. Be aware that different people prefer to communicate in different ways – some of us are more social and like to talk, others prefer the impersonality of email. Facebook is hot – everyone seems to be on it or using it. It doesn’t mean you have to be. Facebook is not going to be right for every business. However, there are some cool features of Facebook that you can still use that can help spread the word about your business that might be worth considering. Regardless of whether you use Facebook or not, there are countless social networking sites that may be appropriate for your target audience that would be well worth integrating with your site. Why? Because search is becoming more social and the recommendations of friends are starting to influence search engine results. You want to put yourself in a position where you can capitalize on this. Ask your website designer to build you a site that is going to load quickly. Page load speed is a factor in search engine rankings and as I mentioned earlier visitors will leave your site if it takes too long to load. Make sure your website can be viewed in other browsers. The main ones are Internet Explorer, Google Chrome, Firefox and Safari. Being visible in mobile phone browsers is also very important. Keywords are the foundation of a good website. Whilst they won’t impact your design, they will make the difference between being found in the search engines or not and ensuring your website meets its key objectives. Many website designers say they do search engine optimisation. What they mean is that they put keywords in your page title and description. However, they may not necessarily do the research or apply any methodology or rationale for why you should use certain keywords. As you can see, there are a vast number of things that determine good website design. A full service web development company can help you through each step of the process. If you would like to find out more information or discuss your needs, feel free to contact us on 0488 184 040 (see we even practice what we preach). If you are a business that has a website that nobody ever visits or that looks very basic or unappealing, then it is time for change. You need to rework your website. Or, if you do not have a website yet, you need to get one created. In either case, you require good quality custom web design services. Custom web design means getting a website designed tailored as per your specifications. Even though there might be readymade templates applicable to your line of business, they can be highly customized as per your choice. You can get the look and feel changed as per your taste. The content must be carefully done on each webpage to convey the right information in the right tone to your visitor. You also require your website to appear high on searches and search engines like Google. Search Engine Optimization of your content can help you in that. When you look for a company offering Custom Web Design Services, do not look for the very expensive ones. They might be beyond your budget. The very cheap ones could be doing an ineffective job so rule those out too. You need to look for somewhere in the middle – A company that is cost-effective yet professional. So, shortlist a few of those and then study their portfolio of work — the websites that they have built. Reach out to a few of their past customers to know their experience. This will give you a good idea about their professionalism. Then check for the additional services that you require and that they may offer. These could include web hosting, maintenance, coding, graphics, design changes, additional pages or content updating, SEO, online marketing and so on. Can they do feedback forms or Customer interactions forms for you? If a Custom Web Design company can provide you these at a reasonable additional cost, especially the website maintenance and updating services, then it takes a big strain off your shoulders. Since your website is such a crucial aspect of your business, you would want it to be aesthetically appealing, relevant, well worded, search engine optimized, and unique. Find a professional web design company that understands these requirements, is friendly and understanding, experts in their field, has a great team of designers, content writers, coders and other professionals, and are cost efficient. And, if your business has a large local target audience, then perhaps a local custom web design company could be of great use to you. So, take your time and make the right choice! Over the last few weeks, we have been approached for help because the business owners have lost control of their website. In both cases, the owners objected to paying the $130 fees attached to making minor textual changes to their website. In one instance, the website owner was asked to pay $3,800 to release their website from the person who had designed the site and hosted it on their hosting account. Whilst I think that charging for time to update a website is fair, careful selection of your website designer and hosting service will help you avoid paying some fees for minor textual changes and will help you retain control of your website. 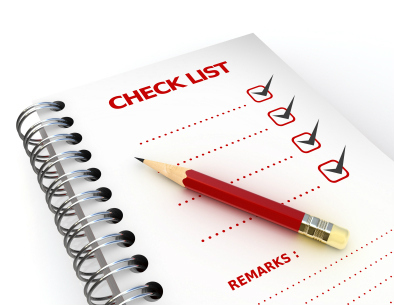 Use this website requirements guide before you select your website development company. Whilst we offer hosting solutions, we give owners full access to their hosting account. This means that owners can move any time and still retain control of their website and content. We prefer it that way. We want our clients to have control of their asset. Too many times we have seen clients change suppliers because they haven’t had control of their site and are annoyed that they are locked in. With the massive growth of social media, negative word of mouth can spread like wildfire, and the only word of mouth we want is positive. We have had many a phone call from clients who have lost control of their website and are being charged exorbitant fees just to make minor changes to their site. This might be fine if you have a static site that you think will never require changing but sometimes laws change or you have new products or services that you want to add. We believe you should be able to make text and image based changes to your site. If you want to edit your website, make sure you have a system that allows you to edit ALL content, sections and pages. Some developers use basic systems that mean they will charge you later to add sections. You will only be able to edit in defined areas that they have previously specified. We think having access to make changes is important. If they are using their propriety content management system, this means you will be solely reliant on your website development company. It means you are relying on them to maintain and update it. We’ve had one client whose website development company did not maintain the system they were using so it made it difficult for them to move their website to a new hosting account. We use open source platforms that are developed by a global community. This means that the systems we use are not reliant on proprietary systems, they are reliant on community development. There are literally thousands of developers who contribute to the platform. If you want your website to be dynamic, searchable and flexible – you should make sure your websites Content Management System is database driven (As opposed to static pages). Again this will save you costs in any future development. Unless your website is “Dynamic / Database driven” you won’t be able to serve your website on different devices like the iPhone. Now this is a tricky one. We have found many website companies say that they understand search engine optimisation but the reality is they don’t. Often they will develop a site in “flash” which is not search engine friendly or provide you with a search engine friendly content management system. Your content management system should include fields where you can alter your page titles, meta description and keywords. Ideally, you should also be able to adjust the robots text. In one system we looked at recently, we could change the page titles and descriptions but we were not able to prevent some pages being indexed in search engines that didn’t need to be indexed. Some website developers try and lock you in and own the graphics and logo on your site. They do this by sending agreements that are assumed to be accepted on payment of your invoice. Often this means the graphic designer will lock you in for the logo or graphics that they used on your site. This means that if you ever want to move suppliers, you will charged a fee to release their intellectual property. Ask your developer / designer if you will own ALL the code in your website and that it is hosted on your website. Otherwise, you can end up with systems / services hosted by other companies that can not easily be modified unless you pay. Flash based websites look pretty but are more difficult to rank in search engines. This is because they have very little text based content so search engines can’t tell what your website is about. Flash is not iphone or ipad friendly. With the increasing number of people using mobile phones for search, it is advisable to avoid flash based websites. So you can easily add extra features like eCommerce & mailing list systems that are completely integrated and not a series of bolt-ons / patches and fixes. This again will reduce future costs. We can help you get control of your website. Sometimes this means we can salvage parts of your website, sometimes this means your website will need to be completely redeveloped. However the end result is that you will have control of your asset. We can provide custom web design solutions that you own. This is something you should aim for.